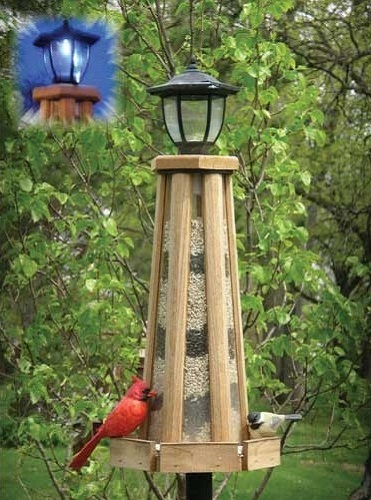 Solar Powered Lighthouse Bird Seed Feeder-5 Qt. Bird feeder by day, solar powered yard light by night, this multi-functional piece is sure to delight backyard inhabitants 24 hours a day! Easy to monitor seed level. Top lifts off to fill. Dimensions: 11" x 11" x 26"